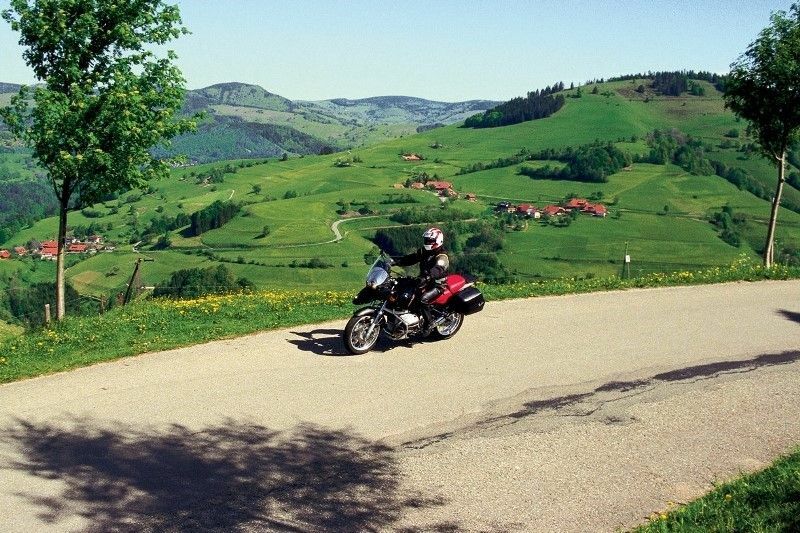 Our 7 day motorcycle tour to the Black Forest allows you to explore this legendary biking destination in southern Germany, filled with spectacular, fast, sweeping roads and grand vistas. 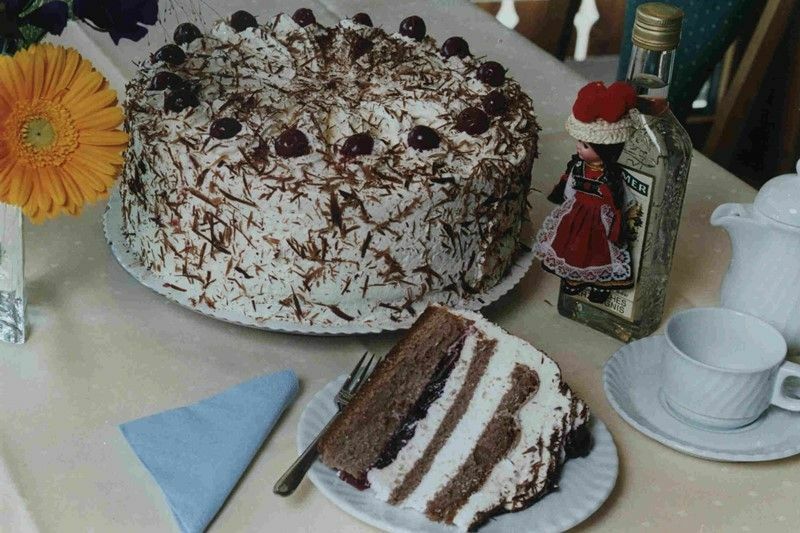 The Black Forest is Popular with riders from all over the World so it is worth booking early and as soon as you have decided your dates. Our partners at MCi Tours will prepare a detailed touring pack for you covering all aspect of the tour. A varied choice of ride-outs are included. The riding roads are glorious, and the biker-friendly hospitality is trusted and very welcoming. This region of southern Germany is a rolling landscape of green pastures and picturesque villages surrounded by forested hills. Streams and waterfalls run down from snow-capped mountain peaks to feed gin-clear lakes. 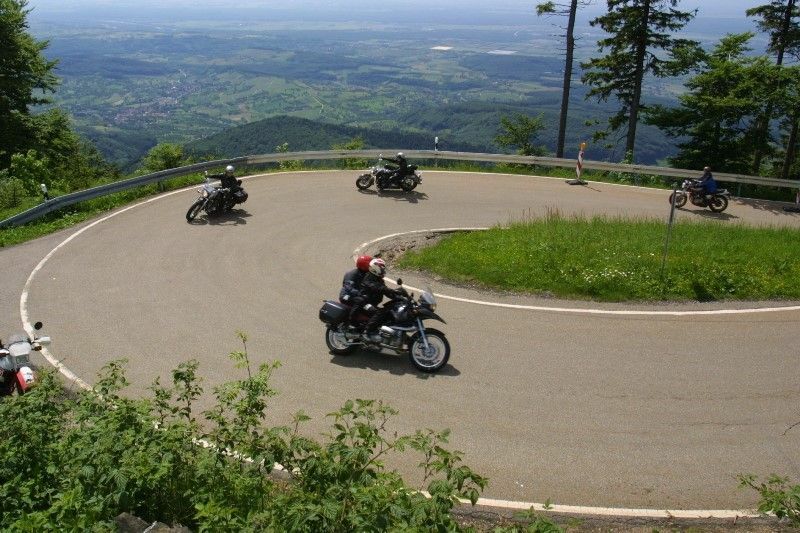 During your 7 day motorcycle tour to the Black Forest you will want to ride the famous, winding B500, the Schwarzwald Höhenstrasse, of course; and perhaps explore the Triberg and Feldberg mountains. 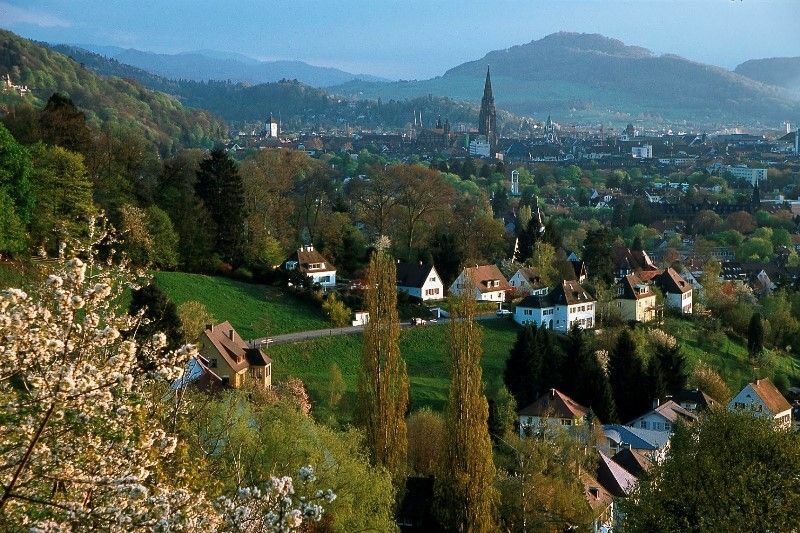 You can also visit some of the region’s ancient cities and Spas such as Strasbourg, Baden Baden and Freiburg. Leaving RoadTrip and the English Channel behind you, your motorcycling holiday opens with a ride through the French countryside and the vineyards of Champagne, where you rest overnight. Then onward across the Vosges mountains and into Germany and the Black Forest. 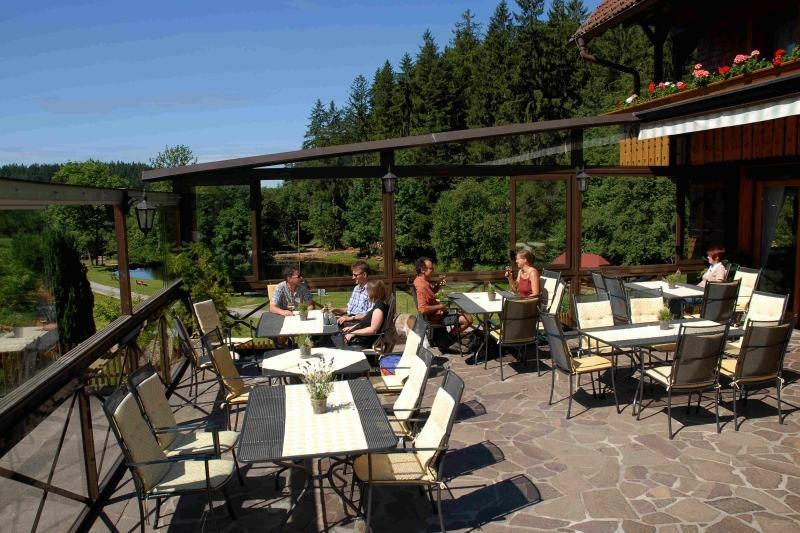 Your base in the heart of the Black Forest region is an English-speaking, family-run hotel situated in peaceful countryside surrounded by forests and meadows. For riders who enjoy walking there are marked footpaths nearby. The comfortable rooms all have en-suite facilities and the hotel’s water supply is spring fed. Your hosts also provide secure bike parking and a drying room. After your days’ rides you can relax on the sunny terrace, swim in the lake or unwind in their sauna. Massage treatments are also available. The airy restaurant serves a buffet breakfast and a four-course dinner menu each evening. Dover to Calais ferry outbound and return. 6 nights bed & breakfast board basis (4 nights in the Black Forest, 2 nights en-route in France) and four 4 course evening meals (with menu choices) in the Black Forest.